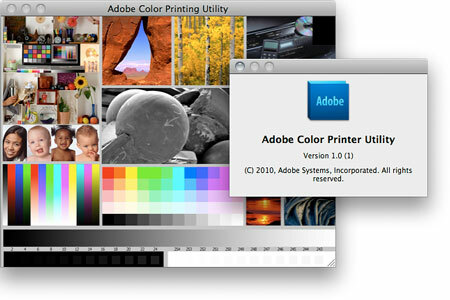 If you print color target images because you build printer profiles, and you’ve been frustrated that the No Color Management option is missing from the Print dialog box in Adobe Photoshop CS5, you can breathe a little easier now. No, make that a lot easier. Adobe has released the Adobe Color Printer Utility, specifically designed to print RGB TIFF color profiling targets without the risk of having the test swatch colors distorted by a color management system. 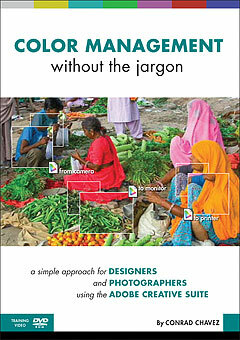 Color Management without the Jargon video: now available! Are you a photographer or designer and still not quite sure how color management works? Confused about how to use color profiles? 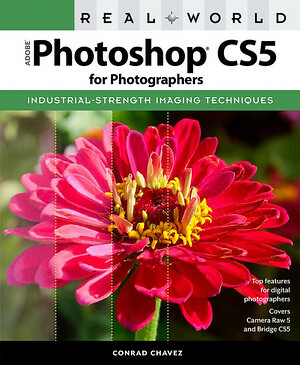 Have you tried to read books and articles about color management, but are overwhelmed by the terminology? 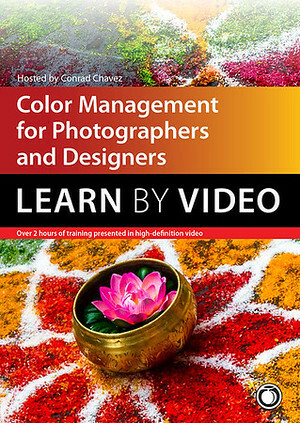 Now you can better understand color management with my DVD and online video, Color Management without the Jargon: A Simple Approach for Designers and Photographers Using the Adobe Creative Suite. I created this video as an approachable introduction to the ideas behind color management and the basics of a good color management workflow. While there’s a lot of good material about color management out there, I feel that much of it jumps into jargon and abstract concepts too quickly. I saw an opportunity to explain color management in the simplest possible terms. I intend Color Management without the Jargon to prepare you for and to complement the deeper, more comprehensive, but also far more challenging material out there. This 1½ hour training video helps beginning and intermediate Photoshop, Bridge, InDesign, and Illustrator users understand the basics of color management, including how to profile monitors and create consistent color in a production workflow. 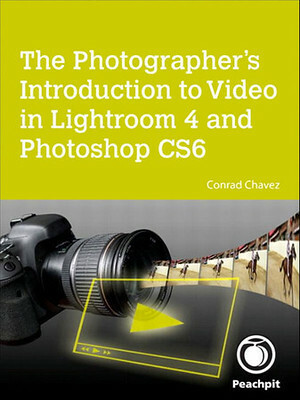 This video provides technical background without being overwhelming, and presents concepts and steps that are easy to follow. Every digital photographer or graphic designer knows that color management is important, but many still do not calibrate their computer monitors or understand how color works in different spaces. 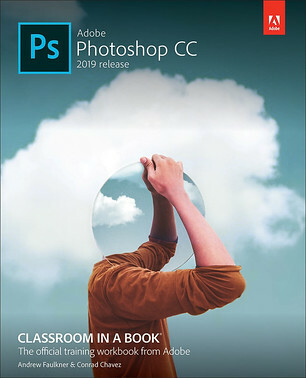 This 90-minute DVD will help beginning and intermediate Photoshop, Bridge, InDesign, and Illustrator users understand the basics of color management and how to create consistent color in their workflow. The supporting 48-page printed reference guide provides additional links and content. If you use an Epson Stylus Photo/Epson Stylus Pro printer in Mac OS X and you save printer settings as printer presets (a recommended practice), there may be times when you choose a preset and realize that some of the settings mysteriously deviate from the way you saved them. For example, you might swear that you saved the Printer Color Management setting as No Color Management, but it somehow turns itself back on when you apply a preset. Other symptoms are finding the wrong paper type or color settings selected. And even more mysteriously, you might notice that sometimes it does remember the same settings that it forgot on another occasion. I don’t know if this applies to all printers in OS X, but presets for Epson photo printers are quite sensitive to the conditions under which they were created—and unexpectedly, this can include the state of settings that are outside the Print dialog itself. Pay particular attention to the settings in the Page Setup dialog box. For example, I once discovered that reason my Epson 3800 printer presets would not remember my color settings was that the current paper source did not match the paper source that was in effect when I created the preset! I’ve had to make two versions of my favorite presets: One preset for when I’m using the automatic paper feeder, and another for when I’m using the manual feed slot. The settings saved in each preset are exactly the same; the only difference is which paper feed is selected when I save each preset. Of course, I have to mention the paper source in each preset’s name, so that I know which one to select. I have not yet tested if this behavior is the same in Windows. This interaction between paper source and printer presets is yet another reason to make sure you always check the Page Setup dialog box before you print, and especially before you print a Photoshop document for the first time. In Page Setup, the selected printer, paper size, and paper source affect what you get to do in the Print dialog box. If you don’t get Page Setup right from the beginning, you’re setting yourself up for confusion when you print. Lightroom. If you’re trying to get Epson printer driver settings to stick in Adobe Photoshop Lightroom on Mac OS X when you save a Lightroom printer preset, the trick is to not use the Epson printer driver presets. Instead, leave the printer preset set to Standard, make the printer driver settings, and then save the Lightroom printer preset.